Mobile Bingo | Play Bingo Games on your Mobile @ Sugar! Play Mobile Bingo with us! Want to take a slice of sweet bingo to go? Enjoy Mobile Bingo on your mobile phone and tablet at Sugar Bingo! Now you can play all of the best bingo games and slots to win sweet jackpots from the palm of your hand! Plus, all the delicious bonuses and promotions can be accessed from your mobile device too! It’s like having a bingo hall and casino in your pocket! What makes Sugar Bingo best mobile bingo site? Recently most players prefer to play bingo on their mobile device. We lead busy lives and the ability to play and win mobile bingo is very convenient. 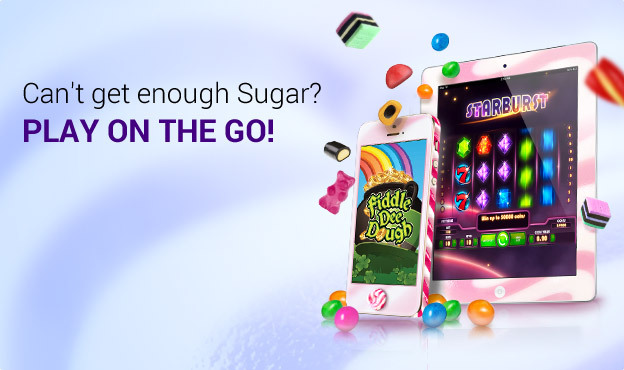 At Sugar Bingo, we know how much you enjoy playing on your smartphone and tablet so we’ve made sure to create an optimal mobile gaming experience. What’s great is that you can play on any device regardless of its operating system. You just need a mobile web browser to access the Sugar Bingo mobile site from your Android and iOS devices. Play bingo and slots wherever you go on our amazing mobile bingo site! Is there a Sugar Bingo App? Yes! We have a top bingo app that you can download on iTunes for FREE! Play on our brilliantly designed mobile bingo app from your iPhone and iPad for heaps of fun on the go! If you want to play bingo on an Android device simply visit us on your mobile web browser! Can I play on my Android and iOS Mobile devices? Yes. As mentioned above, you can play on the Sugar Bingo mobile site from any device with browsing capabilities. Our bingo app runs on Apple’s operating system and can be downloaded for free onto iPhone and iPad. Are their mobile bingo bonuses and promotions too? Of course! Online Bingo is all about fun and freebies and Sugar Bingo offers some of the best mobile bingo bonuses in the UK! If you’re new to our site you can grab our Welcome Bonus from your phone or tablet. Play with £45 for only £10 when you join Sugar Bingo from your mobile! Access all the mobile bingo jackpots including progressive and guaranteed games, penny bingo games, and MEGA monthly jackpots! Imagine winning Self Made Millionaires £1,000,000 prize from your mobile! Is playing mobile bingo 100% safe and secure? Yes. We take our players’ safety very seriously and take great care to give you the most secure mobile bingo experience ever. We also provide many trusted payment and withdrawal methods that are all available from your mobile. You can even pay and play PayPal bingo from your phone and tablet! Visit our pay by phone bill option to learn more about this option! Can I use the same login information on my PC and Mobile device? The same username and password you have created on your mobile device can be used to login on your PC. Just open your PC browser, enter the URL of www.sugarbingo.com and follow the login instruction on the site. You can find a link on the bottom of the login screen entitled ‘Forgot password’ when using your mobile device. Tap on the link, fill in the email address used to create your account and you will receive the necessary information to login again on your email account. The most popular bingo games like 90 ball and 75 ball are available for you to play and enjoy. You can also play the most popular slots games like Fluffy Favorites, Shaman’s Dream and Starburst. Just swipe left or right through the lobby tabs to explore all the exciting rooms we offer. We are constantly making an effort to add more games, so be sure to check the instant games tab and the game menu in the rooms for some exciting new surprises. Can I download the Bingo App from Apple’s AppStore? Coming soon! Make sure the email address that you have registered to your bingo account is correct on the PC account page so that we can inform you when it is available for download. How do I install the game on my device? 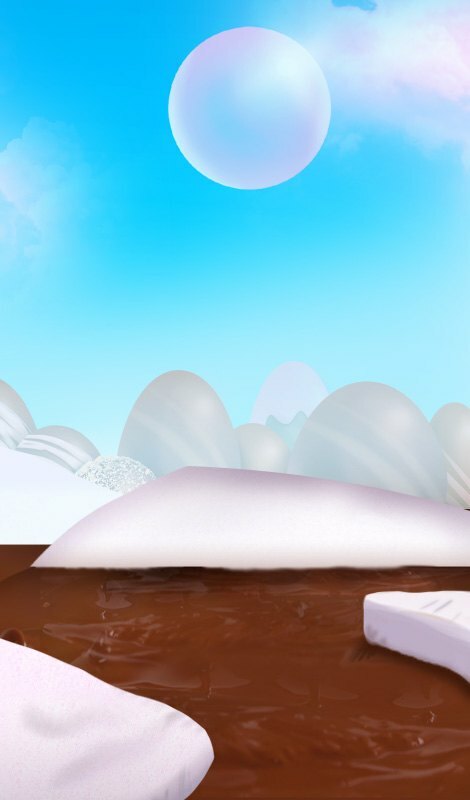 On Android devices, such as the Galaxy S series, you just need to open the browser and navigate to www.sugarbingo.com, like you’re used to. You will use the same login information you have been using for the desktop site, and then you can begin playing. 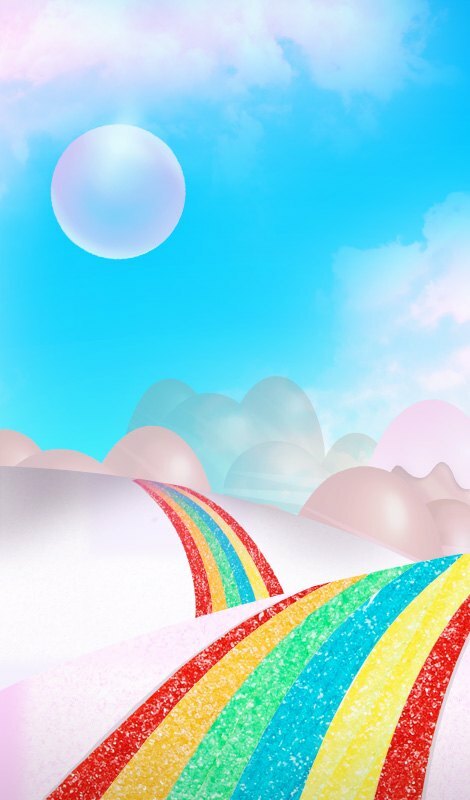 On Apple devices such as the iPhone or iPad, open the Safari browser and navigate to the game www.sugarbingo.com. You can either play directly in the safari browser, or add the game icon to your home page; - you will see instructions on the bottom of the page. Follow the instructions and whenever you want to play bingo, and start playing directly from the home page. On what browser can I play? For the best game experience we recommend Safari on Apple devices and on Android devices you may use the built-in browser or Chrome. Can I use the Bingo Chat rooms? YES YOU CAN! The chat is available when you enter a Bingo room. When you type a message everybody will know you are chatting from your mobile device – its fun! While you are playing Bingo you can chat with other players in the same Bingo room. On your Smartphone, tap the chat icon (lower left of the screen), and the chat panel will open, allowing you to type your message. Tap the send button so everybody can see what you typed. On your Tablet, tap on the chat field and do the same. Use your finger to scroll up and down the chat panel to view previous messages. Remember, the usual chat etiquette rules apply and our CMs will be in the chats to assist you and join in the fun. Tap Account (top right button) in the lobby, and then click the Deposit button. Choose your preferred payment method and continue with the specific instructions for the specific payment method you selected. All deposit bonuses are valid through mobile devices when making a first time or second time deposit. We will make sure you get the bonus funds just as you do on the PC. Currently you can withdraw funds only from the PC. Withdrawals are available once you have deposited the required minimum amount. Login on your PC with the same username and password, open the cashier and select withdraws. Please see the site Terms & Conditions for more details. How can I be sure that my payment details are secure? Your security is guaranteed with us. All payment transactions take place in a trusted, highly secure environment. Our secured servers encrypt all your details including, and most importantly, your card number information. The information you send is transmitted securely through your mobile device to our server using SSL certificate and encryptions. Where can I see my account details? Your main account details are available on the account button located on the upper right corner of your screen; you can find your balance there. For more details on your account you need to login to your account on the PC. What about my loyalty coins? Currently you can view your total number of loyalty coins using the Account button, located on the top right of your screen. In future versions we will allow you to convert these loyalty coins into bonus money and play. Can I set limits to my gaming? Currently you can only set your limits on a PC. In order to do so, login to your account on the desktop and open the cashier, then select ‘limits’. Are the account on my mobile and my computer the same? Yes, when you play you are always using the same gaming account. Deposits, wagering, winning and withdrawals act on the same account, whether you are playing on your mobile device or on your PC. Which mobile devices can I use to play? We support nearly all Smartphone devices including iPhone, iPhone 4S and iPhone 5/5S/5C, Samsung Galaxy S2, S3 and S4, Nexus 4 and Galaxy note 1 & 2. You can also use tablets such as Apple iPads, including the new iPad mini; as well as Android tablets such as the Galaxy Tab and Nexus 7. The game froze or I got disconnected while I was playing – is my money safe? Yes, your money is safe. We track everything so in a case of disconnection or a technical problem we will always have your latest account balance and winning events recorded safely on our servers. If you were disconnected during a bonus game in one of our amazing slots games, just login again and tap on the same game you were playing before. Your bonus rounds will continue right from the point at which your game stopped. If you leave a bingo game intentionally or accidentally, don’t worry. Your cards are still playing in the room you left. If you had any winnings you will be able to view those on the site and your balance will be updated. How can I view my statement and game history? Login on your PC and access your account details page. There you can find all your game history and winning events. How can I add more payment methods? Open the cashier using the account button (top right on the screen) and tap deposit. The cashier will appear and allow you to add up to five payment methods using the Add a payment method button.